DJ & producer Dave DK has been making waves in the electronic music scene for a couple of years now. Since the early 90’s he was fascinated by the upcoming techno movement, which eventually led to his own active initiation. 1995 was the starting point for the then 17 year old. Together with a longtime friend, Dave produced his first tracks and was involved in the organization of underground techno and house partys, constantly trying to spread and push new electronic music. Searching for new electronic sounds every day and having honed his skills as a producer in his chosen home Berlin, Dave released his first record on Müller Records in 1998. His DJ activities had been highly pushed since that time. In 1999 he became a resident DJ at Tresor/Globus club in Berlin, later on also at the legendary Panorama Bar. Beside his remix productions for Beroshima and Skiebäck he released records on raum…musik., Decore, Lifetime Music and Cadeaux. As Dave is an open minded person who resents musical limits, he doesn’t want to be reduced to one style. His sound simply is the result of different styles that have influenced him throughout the years. “I have a passion for the wide range between house and techno as well as pop music and dancefloor stuff of the early 90’s”, says Dave. The year 2000 can be marked as the first highlight in his career: his debut album “sensory overload“ had been released on Müller Records and there were musical excursions on Cologne’s Television label as well as on the Barcelona based Regular label. Dave is now currently recording for Moodmusic and also on Playhouse (a collaboration with Holger „Smash TV“ Zilske) which brings him even closer to his idea of electronic house tunes. In November 2007 Dave released his second album „Lights and Colours“ on Moodmusic. 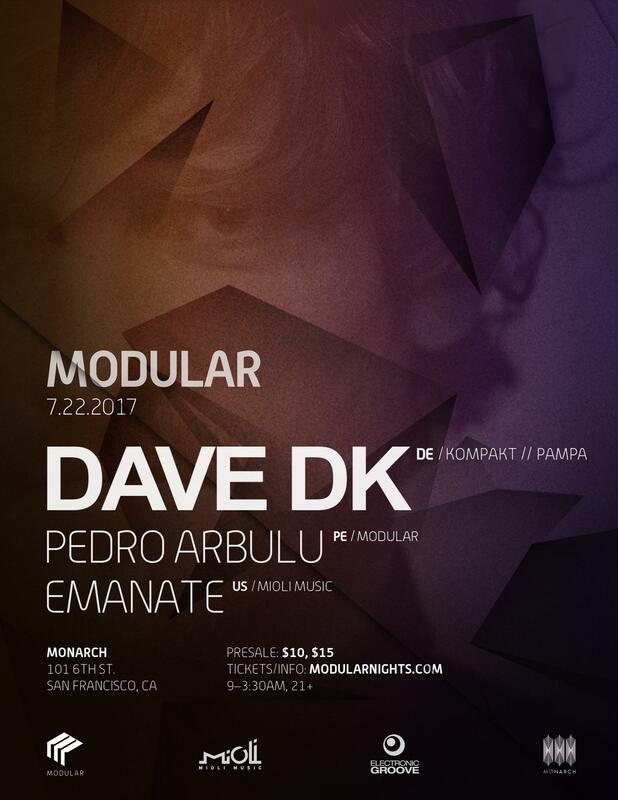 For Dave DK, music is a model of living in which he’s able to enhance his skills in order to realise his vision of modern electronic club and home entertainment – expect more fantastic music in the very near future. Late 2010 saw the release of Dave’s first Mix CD on Moodmusic called RETAKE ONE. In 2013 Dave has been signed by Kompakt, releasing his first 12“ on the Cologne based imprint in July. His latest Track “Woolloomooloo” got picked by DJ Koze and has been released on his Pampa imprint.